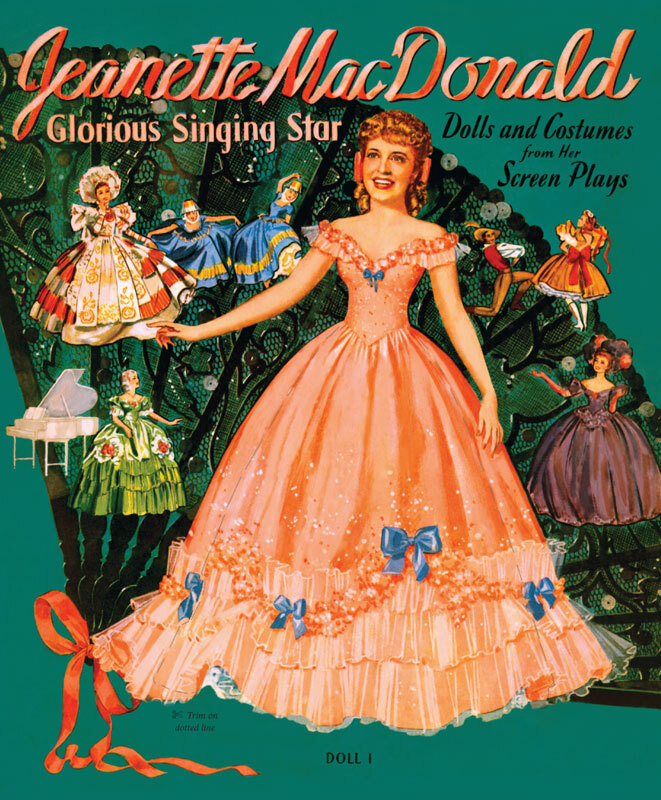 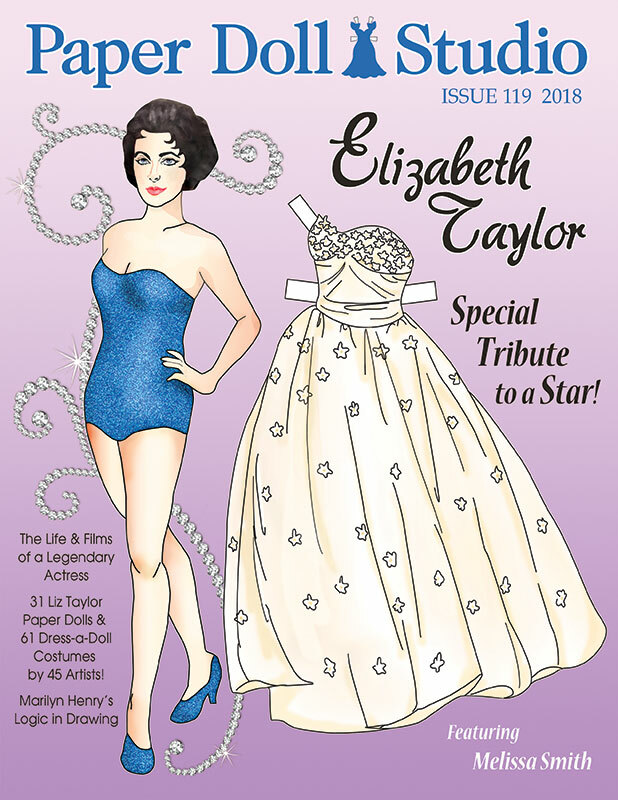 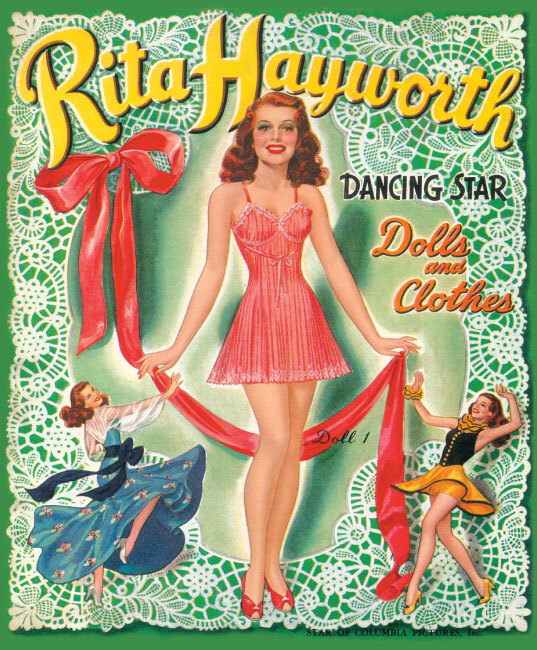 The Latin beauty, Rita Hayworth, is featured in the reproduction of the gorgeous 1942 paper doll book. 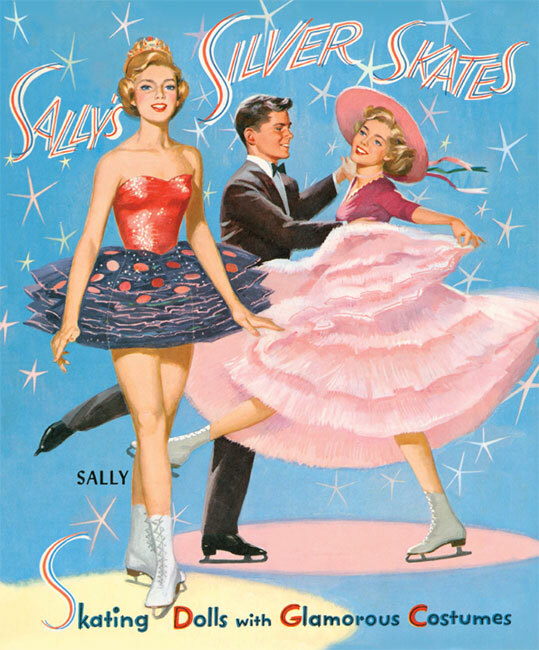 The cover illustrations by Norman Mingo showcase her lovely features and dancing ability. 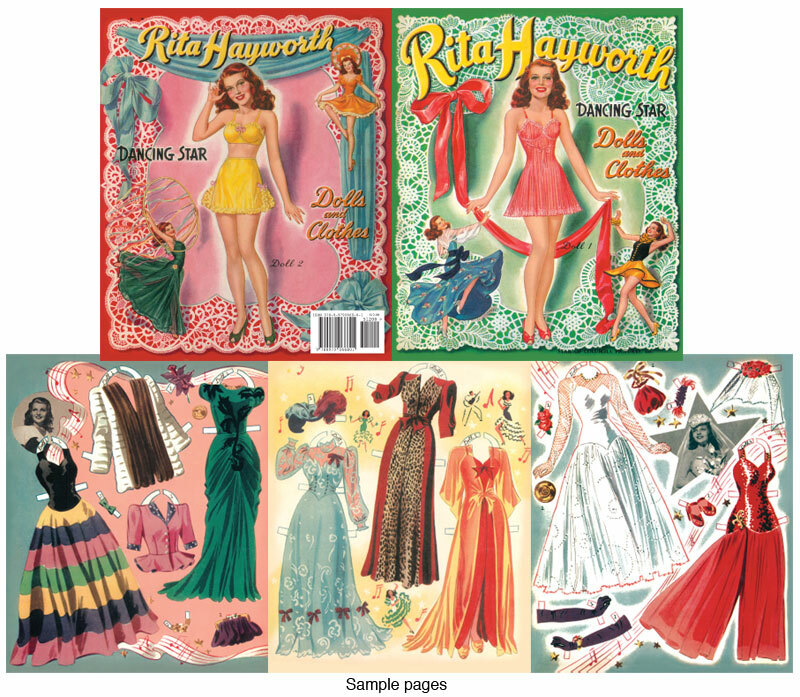 The inside pages by Clara Ernst are beautifully designed with a wonderful wardrobe of clothes and accessories, beautiful backgrounds and star photos. 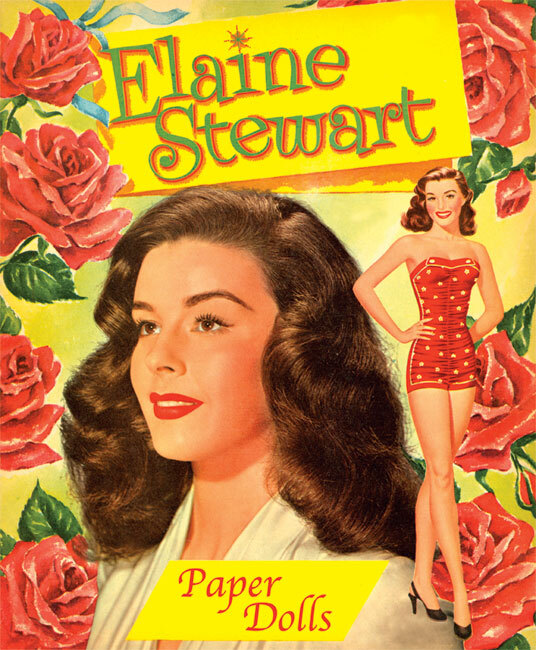 Included are costumes from Blood and Sand, You Were Never Lovelier, You'll Never Get Rich, Strawberry blonde, and more. 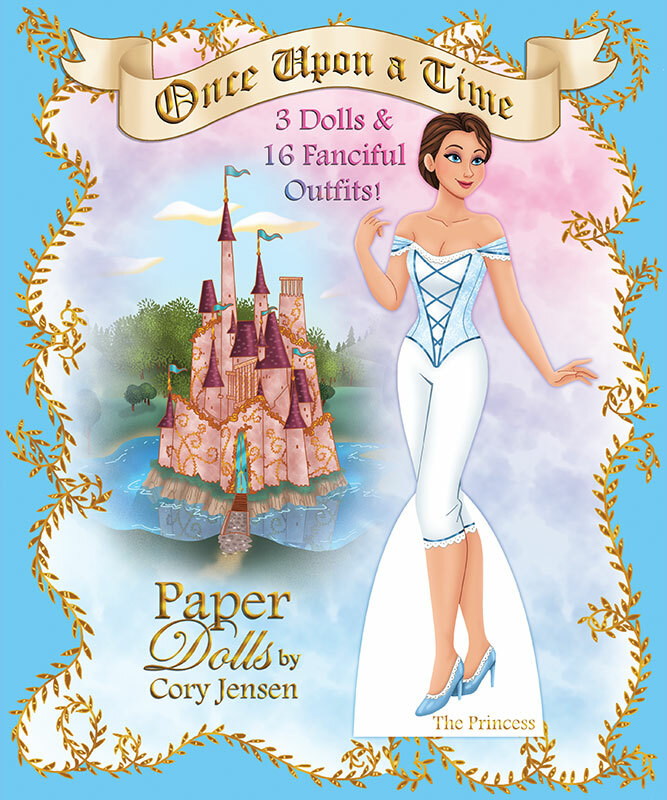 Two dolls and eight pages of clothes. 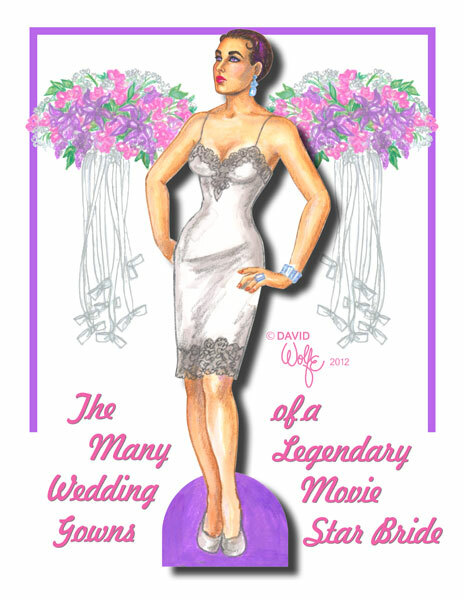 Book size 9 1/2 x 11 1/2 inches with cardstock covers.